Nearly 600 NFFE-IAM members have been laid off at Red River. Another round of workers are slated to lose their jobs by the end of August with the release of nearly 100 term government employees and close to 200 contractors, according to information released by RRAD. And that’s why the NFFE-IAM Legislative Team took this issue all the way to Capitol Hill where they are meeting with U.S. Senators and Representatives to build support for keeping Red River open. 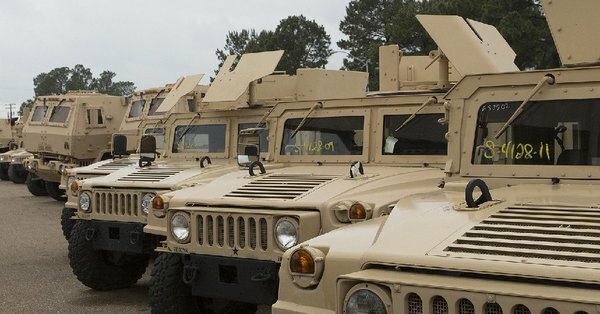 These face-to-face discussions led to a group of Senators from Texas, Arkansas and Oklahoma to write a joint letter to the Commanding General of Army Materiel General Gustave F. Perna urging that RRAD be reassigned as the depot source of repair for a different program, the Armored Multi-Purpose Vehicle (AMPV).